On behalf of the children, staff and governors, I would like to introduce you to Deepcar St John's. There is a great deal of information on our website and I hope you enjoy finding out about our school. The school's vision statement is 'To create a welcoming Christian community of mutual love and care, where all are valued for who they are, where everyone is inspired to reach their full potential'. We are a church school, a status that we take seriously, and which impacts positively on an ethos which ensures that each individual is treated as special and important. The children are very proud of their school and we are very proud of our children. They love learning; care for each other and are very respectable of adults. They are our best ambassadors! While it is my priority that the education your child receives here with us will enable them to achieve their academic potential and progress confidently into the next phrase of their education, it is also part of my vision that all our children are filled with positive experiences, that they are aware of endless possibilities that await them and that they are nurtured, in order to develop within them, a confidence to embrace whatever comes their way. If you would like to know more about our school, you are very welcome to come and visit. The children of Deepcar St John's very much enjoy talking about and sharing their achievements and our successes. 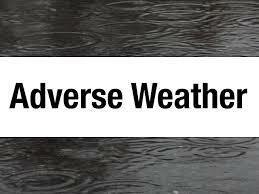 In adverse weather conditions, please check the link below which will provide you with information about alerts that come from Sheffield City Council and will inform you if there is to be a late opening of the school or a closure.